Founded in Sep 2016, Education Without Barriers (EWB) is an end-to-end online tutoring and mentorship platform aiming to empower and improve access to education for underprivileged children across the world, starting with orphans in China. At EWB, we believe that education is the most powerful, empowering, and enabling of human rights for an individual, and is the best gift one can provide to children.  Education Without Barriers aims to tackle the problem of unequal access to educational resources. As the headquarter of Education Without Barriers (EWB), EWB American Chapter is mainly responsible for fundraising, developing operational strategy, market positioning, technical support, and legal compliance. EWB American Chapter is supported by six departments: the Fundraising Department is mainly in charge of fundraising and other related work; the Financial Management Department takes charge of budget planning, fund management, and internal allocation; the Branding & Marketing Department is mainly responsible for brand building, marketing research, and developing marketing strategy; the Technology Department is mainly in charge of website development, technical system designation, and other technical support tasks; the Legal Affairs Department is responsible for all regular legal affairs through EWB AC’s operation; and the Human Resources Department takes charge of recruitment, staff management, team building, and other administrative work. It also provides guidance and supervises the HR department of each EWB service chapter. Participate in the construction of EWB official website and internal management system. Commit 10~15 hours per week before Sep 2019. Have your own views and understanding of education and computer technology. On-the-job software engineer, student or scientific researcher of Computer Science and Information Management and Information System. Strong analytical, writing, and self-learning skills. Natural curiosity and ability to process and synthesize large amounts of information into a clear and concise format. Previous experience in courts,government agencies, law firms, NGOs, international organizations, charitable organizations is a plus. Working to create market-specific marketing plans and communication strategies that improve brand awareness of EWB, deliver consistent marketing messages, help to attain local goals, and maximize contributions to fundamental resource. Support the implementation and monitoring of the work plan to ensure timely completion of deliverables, evaluate effectiveness of ongoing campaigns and marketing practices for continual improvement. When needed, identify creative integration opportunities for partners who don’t see opportunities. Experience at marketing, nonprofits, or in client-facing, and Global Brand. Deep commitment to EWB’s core values and be capable of integrating these values into work. Deep commitment to EWB’s core values and ability to integrate these values intowork. Brainstorm innovative ideas of fundraising campaigns, collaborate with the branding team to launch these ideas to gain donations, and analyze data appraising campaign and fundraising performance. Establish systems for tracking proposals, attachments, reports, and general correspondence, including through the EWB donor database. Assist with proactive donor research to identify donor connections. Organize and initiate donor-based projects (i.e corporates, individuals, other nonprofits) and activities to maintain and leverage EWB’s donor network. Develop and proofread proposals, reports, and other donor materials. Help prepare briefing documents for foundation donor meetings, keynote speeches inoutreach activities, and draft other materials. Write and oversee all social media posting & engagement across multiple platforms, to further EWB’s mission, message, & continuously grow its donation from various stakeholders. Aiding in the planning and coordination of fundraising and networking events. Commit at least 15 hours per week before Dec 2019. Proficient in Microsoft Office, Google applications, and fundraising CRM tools. Previous experience in education NGO, CSR projects, public communication, and donor-relation management is a plus. Having experience / knowledge in U.S philanthropy industry is strongly preferred. Must be detail oriented, hardworking, motivated, and have a positive attitude. Build organization culture of EWB, conduct intensive research on multinationals and INGOs’ team culture cultivation strategies, access it in a regular basis using professional HR theories, and integrate it into all HR projects. Principles of confidential records and file management. Previous experience in education NGO or HR departments is a strongly preferred. Strong analytical, writing, file management and self-learning skills.